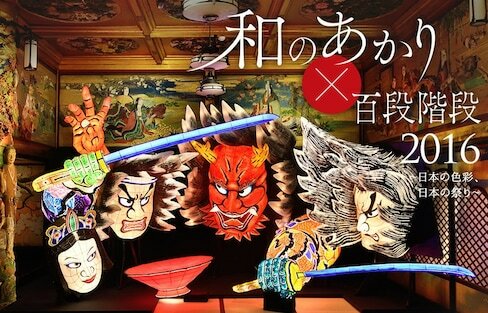 This exhibit has it all if you want to experience a Japanese summer: festivals, a haunted house and even traditional bathhouse murals. Japan’s most famous urban ruins weren’t always deserted, as shown in this video from the 1960s, when Gunkanjima’s ghost town was still alive and well. This village of Buddhist statues is either the beginning to a really good Miyazaki film—or a really terrifying Japanese horror film. Instead of seeing the usual crowd of office workers and students, this train carries commuters from a different world! These animals look like something straight out of our nightmares! Those sand dunes aren't in Hawaii, Australia or the Middle East—they're on the west coast of Japan! Why might Japanese people sometimes hide their thumbs? And which way should you avoid sleeping? For that matter, why is it bad to cut your nails at night? Find out! Death Eaters Set to Attack USJ! Get your wands ready, for the Death Eaters from the Harry Potter franchise are poised to attack the popular Osaka theme park, Universal Studios Japan (USJ). This Okayama castle is literally called, 'Castle of a Demon.' Find out why! Whether you've seen the Japanese originals or the inspired versions from the States, these horror films take creepy to a whole new level. If you have a lover who only appears at night, you may want someone to check in on you! Want to fight zombies in a VR warehouse? Head on down to Odaiba! These Japanese video games aren't just scary to play—they're terrifying!